EN We all already know well how dry shampoo can save our day. I always have one bottle in my bathroom and if I accidentally run out of it and don’t have an extra packaging, not good, totally not good.. I like to use dry shampoo for a second day hair to bring them to life again and give some volume. Sometimes I use it on my dry hair, but when I really want more volume, I tend to spray to roots while my hair is still wet and only then I blow dry. It really works very well. LT Mes visos jau puikiai žinome, kaip kartais sausas šampūnas gali išgelbėti mūsų dieną, ar ne? Todėl nors vieną buteliuką tokio šampūno visuomet turiu savo vonioje, na o jei netyčiomis jis pasibaigtų ir neturėčiau atsarginės pakuotės, būtų tikrai nesmagu… Sausą šampūną aš mėgstu naudoti vadinamiesiems antros dienos plaukams, kai norisi juos prikelti naujai dienai be plovimo, tačiau dar labai mėgstu jį naudoti plaukų purinimui. Tuomet šampūną purškiu ne ant sausų plaukų, o ant drėgnų ir palei šaknis, ir tik poto išdžiovinu su džiovintuvu. Geriausias variantas išpurinti plaukus. 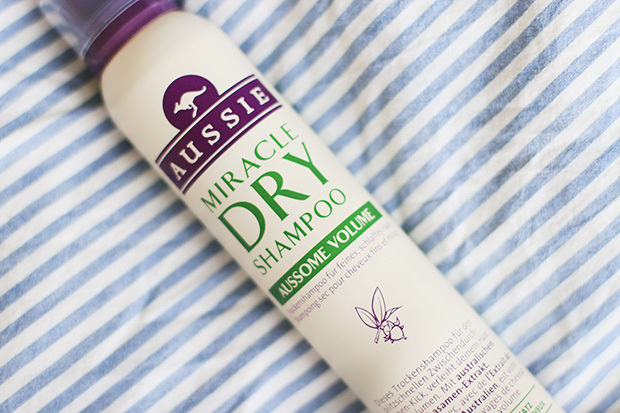 AUSSIE Miracle dry shampoo // Hmmmm, not so sure if it is a miracle or more like hell shampoo… Before buying it, neither I did any research, nor did I pay that much of attention to what was written on the packaging. I simply wanted to try something from Aussie. After trying it, I regret buying. The reasons are: it makes hair even more greasier. It has a very weird texture like a texturing spray and a hairspray were put together, so after spraying it to the roots, I get a sticky, yuck feeling. On the label it says ‘push up effect’. And it gives you that, but the feeling is not the best. 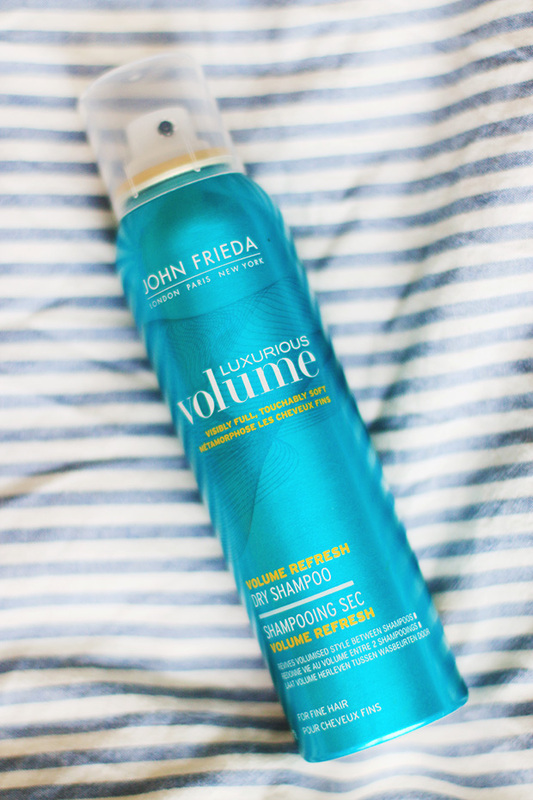 I wouldn’t call it a dry shampoo at all… It’s my newest purchase, I still trying to figure out how to use it properly, but so far I wouldn’t buy it again..
JOHN FRIEDA Volume Refresh dry shampoo // Well I don’t have much to say about this shampoo, because it’s in the middle. It does what it is supposed to do, have a nice not overwhelming scent, but still doesn’t feel like ‘woaw I love this one’. And I finished it too quickly. 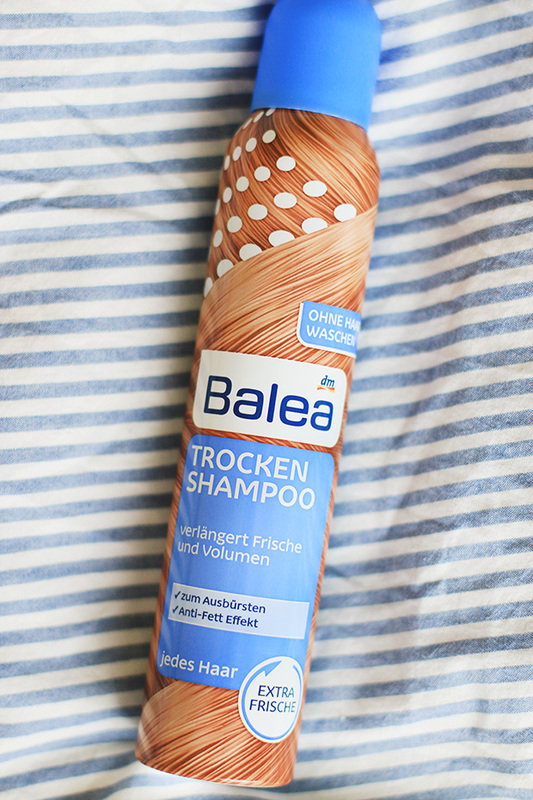 BALEA dry shampoo // Actually I liked it and I would buy it again. It doesn’t make hair oily, lasts long time, smells nicely, easy to massage to the scalp and has a good price. I am often surprised by the quality of Balea products. 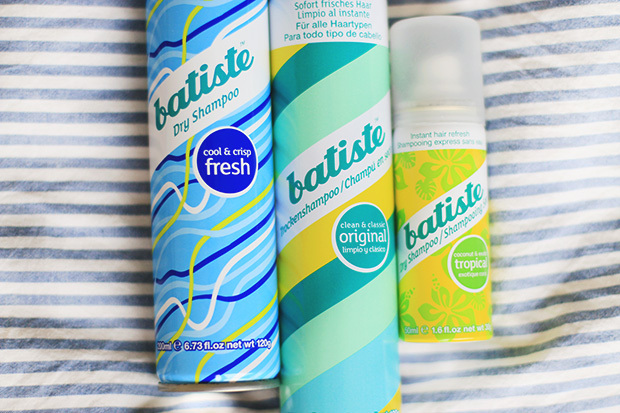 BATISTE dry shampoo // And here we go, my all time favorite and very well tested dry shampoo. I’ve already used more bottles than these three in the photo. It really works very well every time I use it, absorbs well the oiliness, doesn’t leave white patches and easy to blend. Batista dry shampoos simply satisfy all the characteristics of a good dry shampoo. 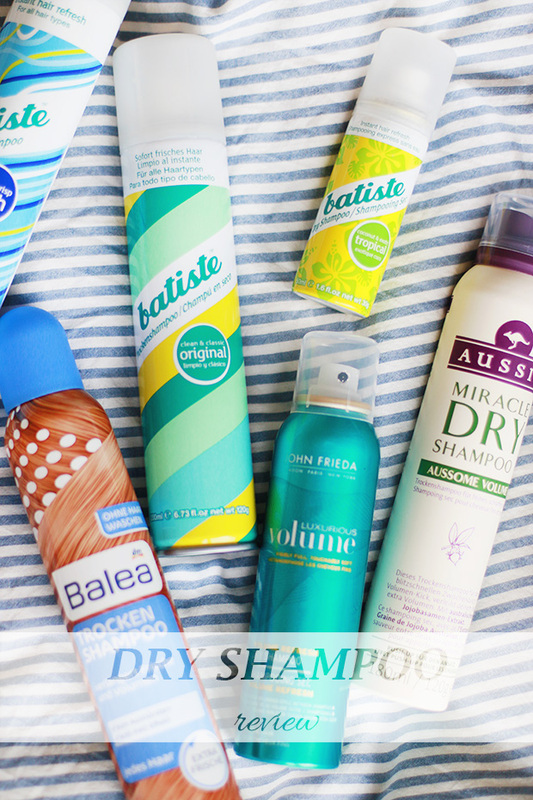 Please let me know what is your favorite dry shampoo and if you have tried one of these??? Also any new dry shampoo recommendations? batiste man tai kazkaip nelabai, sunkiai man isisukuoja, esu naudojus ir tamsiem plaukam skirta (nros nzn ar ten buvo batiste ar koks kitas), bet man panages po to liko juodos! As pagrinde ji nauduoju saknis pakelti, ir tikrai neblogai veikia.